This post will be the continuation of my previous post. Here I will be concentrating on the methods involve in updating clipboard properties. We know in Pega, properties holds all piece of data. It can be stored in temporary memory or can be persisted in database. Throughout this post, we will see how we update properties using activity methods. Let’s straight away jump into the first method. This is very simple method, helps in setting property value on a clipboard page. When do we use this method? We, will use this more often, whenever we need to set a new value to a property or to update any existing property. What are the method parameters? b) PropertiesValue – You can specify the source property value here. You can also use some constants. In the below example, you see “Pega Knowledge Sharing”. Now, run the activity and check in the clipboard. You see, pyLabel is populated as hardcoded value “Pega Knowledge Sharing” and pyNote is populated from pyLabel. What are the things to remember when you use Property-Set method? You can specify the expressions in the PropertiesValue field. The system evaluates the expression and sets the value to PropertiesName. You can use Property-Set to set other property types too. Page, Page list & Page group can be set to another Page, Page list & Page group properties directly. But, you cannot set one property type to another property type. You can use PropertyExists() function to check if the property is already available in the clipboard. A property can be restricted to certain values or some other restrictions in the property form. If you try to set values to such properties, validation occurs and thrown exception if restriction is violated. Step 1: Create a property Gender with local list values – Male & Female. Step 2: in the activity, set the Gender value to ‘M’ not “Male’. Step 3: Run the activity & check in the clipboard. You can see the error set on clipboard page. Note: We cannot commit a page containing errors. Handle it with care, when you try updating such properties at t he backend. This method used to delete a property and its property values from the clipboard page. We will use this method, when we want to remove the property from the clipboard. Property – This is an array list. You can specify more than one properties here. This method removes the properties specified from the step page. Step 1: Create a test activity and use property-set method to populate ‘pyLabel’ & ‘pyNote’ properties. Step 2: Use property-remove method, to remove the pyNote property. Step 3: Run the activity and check in the clipboard. You will see pyNote property is removed. What are the things to remember when you use Property-Remove method? If you want to remove the properties other than in the step page, you can use <Page Name>.<Property value> in the array. This method helps in adding a message to a property. In some situation, you need to validate a single property and set the error message associated with the property. a) Message – You can specify three options here. Field value rule – You can specify a field value rule containing the error message. Constant string – You can also specify some hard-coded string as error message. b) Field – You can specify the property name to which you will set the error message. c) Category – You can specify the field value category name here. (Field value rule key part). You can use this option only when the message is a local value rule. This is not mandatory. When you provide some hard-coded constant string as Message, then we Category should be null. Step 2: Add a Property-Set-Messages step to set the error message associated with the property. Here, we have use a page list property – DemoPageList to set the error message. You can see the step page is added with error. Step 5: Run the activity and check in the clipboard. You will see again page is populated with error message. What are the things to remember when you use Property-Set-Messages method? The message is added to the step page containing property. Associating the message using property-set-message, will not cause the message to appear to the end user UI. This method helps in validating properties against certain requirements. Maximum you should be using the Obj-Validate method to validate properties. For more info on validation rules, please follow the below post. Validate rule supports re usability and can be used in many places like activity and flow actions. 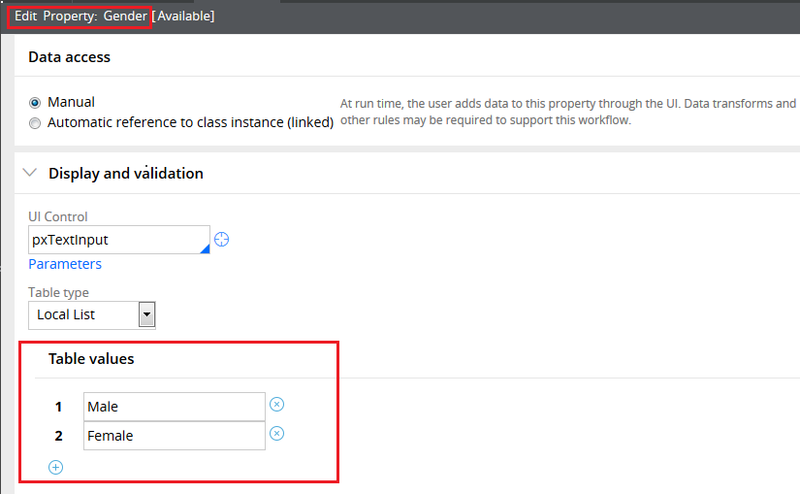 In certain cases, you need to validate particular property only in a single activity ( no reusable scope), you can use Property – Validate method. a) PropertyName – Enter the property name to be validated. You can use the array and enter multiple properties in the array. b) ValidateAs – You can use two options here. 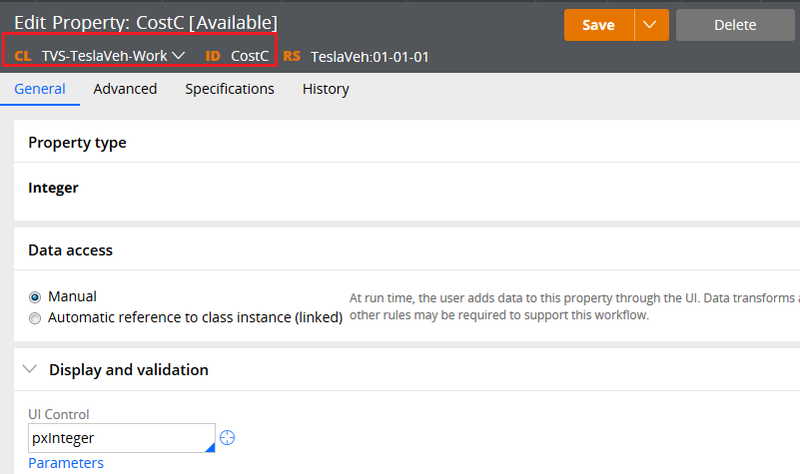 Edit Validate rule – Specify an edit validate rule to validate against the property. If left blank – Edit validate rule specified in the property form. 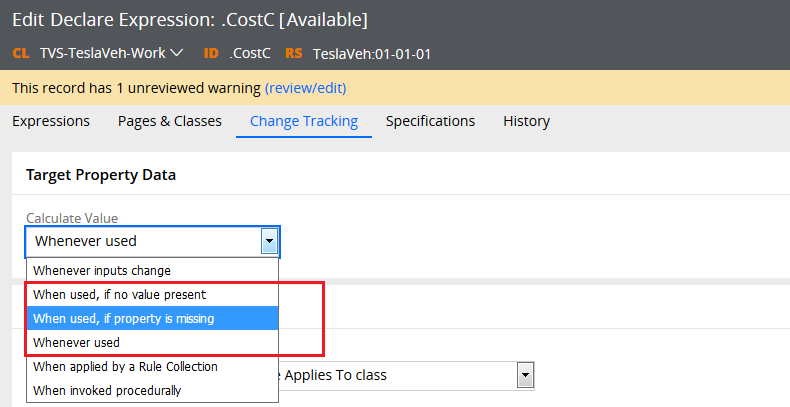 c) Continue – When you specified more than one property in the array, you can continue validation even though the previous property fails validation. d) Default – You can also specify a default value. e) Required – You can validate this field as mandatory – not null. “This field may not be blank” will set on the clipboard. f) ErrorMessage – You can specify a text string error message to be added, when the validation fails. g) OnlyIfChanged – It is not used. You can leave it cleared. Step 1: Create a test activity and a property – EmailAddress. Step 3: Add a new step Property-Validate and specify the parameters value as shown below. Step 4: Run the activity and check in the clipboard. You can see the custom error message set. What are the things to remember when you use Property-Validate method? System validates the property one by one. If continue is selected, system validates all properties and adds the error message to clipboard page. Let’s refresh the backward chaining. For more info on Declare expressions and backward, please visit the below link!! Step 1: Create 3 Integer properties. Step 2: Create a backward chaining declare expression rule. We use this method to re-compute the value of the goal property, based on backward chaining declare expression rule. Now, Imagine you are filling an online employment application form. When you select any previous experience = “Yes”, then you may be populated with experience details. This is kind of backward chaining. Please check with ‘VerifyProperty’ & VerifyPropertyWithListing OOTB flowactions to provide the users with a popup to enter those values. You can also check ‘VerifyProperty’ activity. It accepts Goal property as input parameter and use Property-Seek-Value method. 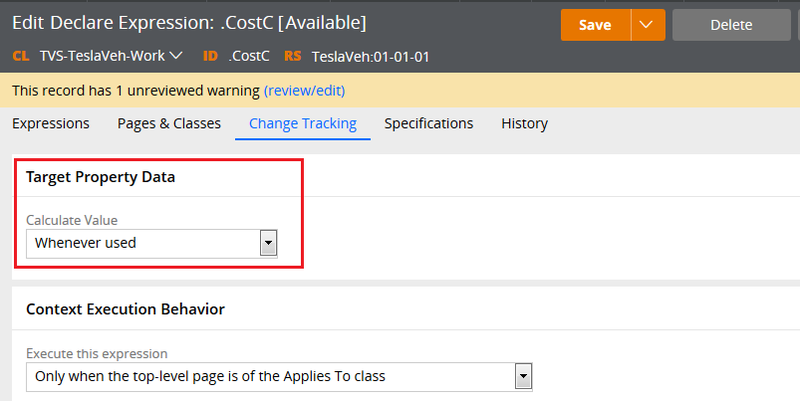 There may be some situation , where CostC value is already available in the clipboard. If we select ‘AlwaysRecompute’ to true – then CostC is computed always. If ‘AlwaysRecompue’ is false – then value specified in the declare expression takes precedence. Step 1: Create a new test activity. Step 2: Add a step and use Property-Seek-Value method. Step 4: Run the activity. Step 5: Now set the CostA & CostB value in the ActivePage. Step 6: Trace open the rule and run the activity. What are the things to remember when you use Property-Seek-Value method? Try to use it, only when it requires. Explore the OOTB rules like – VerifyProperty & VerifyPropertyWithListing flow actions and activity rules. There are 4 remaining methods which are inter related. These methods are help in saving the HTML or XML contents in a single value property. Then the property value can be used to communicate with external system. This method helps in saving the contents of a Correspondence Stream into a single value property. This method helps in saving the contents of an HTML Stream into a single value clipboard property. This method helps in saving either the HTML Stream or XML Stream into a single value clipboard property. When do we use these methods? When we need to send the request/response to an external system. Note: XML or HTML can include directives to reference the properties. a) PropertyName – You can specify the target property name to hold the correspondence stream content. c) CorrType – Specify the correspondence type name. This is similar to Property-Set-Corr method. a) PropertyName – Specify the target property name to hold the stream contents. d) StreamType – This is applicable only for Correspondence and XML. Property-Set-Stream helps in setting all types of stream value content into a single value property. Step 3: Add a new step Show-Page for testing. These 4 methods are just simple. You set the HTML contents or XML contents to a single value clipboard properties. Catch you guys in next post!!! Very nice post man…It would be nice if you introduce us to Pega database quering with overview on database and query methods like Obj-Browse,Obj-Open..etc with scenario specific examples..You’re posts are awe-inspiring..just keep up the great work.. Thank you so much, Dean. Yeah, I’ll explain about them. can you please explain about the property-ref method in details with the example. i have one doubt regarding property-seek-value. for the declare expression when where we use Back ward chaining . 1)will it will call the OOTB VerifyProperty Flowaction and activity ? 2)To check what are the missing property in that particular expression and recompute the expression? please help me to understand this . your posts was really really nice.Thanks for sharing your knowledge. Could You please explain the data propagation, Cover and Covered Objects. I am having a scenario “if a child case resolved automatically the parent case also must resolve”. Keep post .. Really Likes ur posts lot. Thank you so much for your appreciation, Dharma. You are welcome. Thank you so much for your explanation on Pega Topics. Could you please explain what are the main differences between Property-Set and Data Transform? For which scenarios we will prefer Data Transforms or Property-Set? As u written it throws error but i am not receiving any error it is accepting the gender at clipboard page(I am practicing on 7.2V)?? May i know the reason?? Nice Explanation. Can you please post about Report Definition. Can i please know your FB group?. Thanks for the post Prem..
Why we are checking verifyProperty and Verifypropertywithlisting OOTB rules in property-seek-value method while calculating backward chaiaing?? could you please explain on these?? Why we are checking verifyproperty and verifypropertywithlisting while calculatin property-seek-value in backwardchaining. could you please explain this?? 1) when I use Property-map-decisiontable in activity, if I leave allowmissingproperties checkbox unselected, I don’t see any error on screen even though the input to decision table is missing. In tracer, I can see error like goal seeking missing properties. Will error be displayed on screen or not? If yes, how? 2) What us the use of ‘input’parameter in property-map-decisiontree method. I am using that and the values specified here is not chosen at runtime. Good Detailed Explanation with pictures. Can you please post an example of the VerifyProperty and VerifyPropertyWithListing? How to remove duplicates in page list and how to sort page can you please explain in logical ? I have a obj-open-by-handle and while doing obj-browse,am giving pzinskey as search parameter.What is the difference? What is circumstance in Pega?